Thursday, November 19th, 2015 at 3:03pm. It's no secret that Boca Raton and Delray Beach are booming with new restaurants and eateries. With the holidays looming around the corner, you should take a night off from cooking and indulge in one of the many delectable choices. You'll leave any one of these restaurants with a full stomach and a rejuvenated spirit. Keep reading to learn about some of the local's favorites restaurants in Boca Raton and Delray Beach. Tuesday, November 3rd, 2015 at 3:30pm. Are you ready to buy your dream waterfront luxury property? 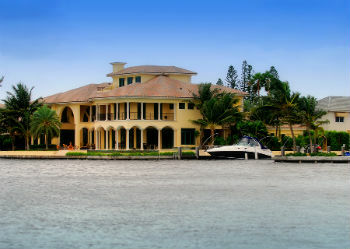 Do you prefer an intracoastal or oceanview home? With any home purchase, it’s important to think about what property suits your lifestyle and what home will be the best investment. Buyers shouldn't take this huge decision lightly. Read about three important things to review when deciding what type of Boca Raton waterfront real estate is right for you.